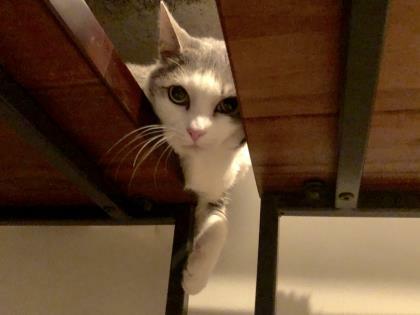 “As the shutdown continues, the Humane Rescue Alliance would like to remind furloughed workers (and others) that the Pet Pantry is available to help if needed. Hi there, I’m Nica! People tell me I’m a senior cat (13.5 years old! ), but the truth is, I definitely still feel like a kitten. I love cuddling up in someone’s lap and rolling around all over the floor like a roly poly! I’m good with other cats, but I also love to hang out by myself and watch birds through the window. Basically, I’m perfect. To meet me or to learn more about me, check out my profile. Meet darling Precious. 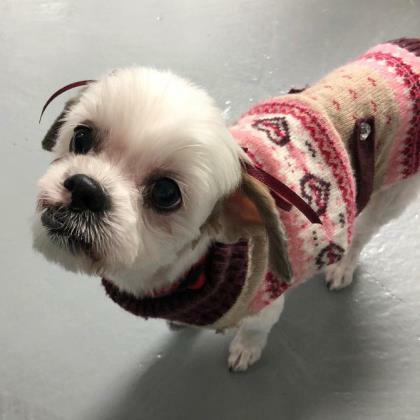 She is a 12 year old Shih Tzu mix and she is just a lovely gal! Precious gets along great with mellow dogs and cats and she is friendly with people she meets. Precious has nice house manners, but being a senior pooch, she would like a few more potty breaks during the day. She LOVES going for walks and she is a joy to walk. She also adores playtime: she loves her squeaky toys and playing fetch.